Frequent communication and collaboration between Victaulic’s VDC experts and the Poole and Kent team prevented several potential issues throughout the drawing process, which helped Poole and Kent meet the extremely tight timeline for 414 Light Street in Baltimore. The Poole and Kent Corporation, headquartered in Baltimore, was responsible for the fast-track installation of the HVAC infrastructure at 414 Light Street, a new, 44-story, 394-unit luxury apartment complex in Baltimore’s historic Inner Harbor in the heart of the city. The building includes an urban park on the seventh floor, a skyline swimming pool lined with cabanas, a private fitness club, and a yoga and movement studio. Over the past 70 years, Poole and Kent has established a reputation as an expert in commercial mechanical design and construction services. They have managed an impressive range of projects, including biotech research facilities and hospitals, mixed-use commercial buildings, mission-critical data centers, energy plants, hospitality and gaming sites, and sports arenas. For Poole and Kent, that meant the project was immediately behind schedule; in fact, they only had 10 months until the first residents were scheduled to move in and 65 days to complete the mechanical room. As their team nailed down near-term needs and prioritized work, they realized their need for a design partner to assist with the preconstruction modeling of the penthouse mechanical room, allowing them to continue with other tasks. According to Campbell, the mechanical room posed several challenges, including its limited size, the number of systems and the large-diameter piping that needed to be installed within it, and the fact that the architect had placed it on the top floor. Poole and Kent had to take all of these factors into account during both the layout and construction. Victaulic products, including these vibration isolation pump drops, and close collaboration with Victaulic’s design team helped Poole and Kent finish the mechanical room installation for the new Baltimore high-rise apartment complex in only 50 days, 15 days ahead of schedule. The spatial constraints were a particular challenge for Poole and Kent’s Building Information Modeling (BIM) Manager, Jeff Bishop, who said the low ceiling heights complicated the design. “We used Autodesk software to overcome some of the constraints, using clash detection spatial coordination throughout the trades,” he said. According to Bishop, working with Victaulic’s VDC team was like working with an extension of his own. Moving quickly to the fabrication stage was critical. 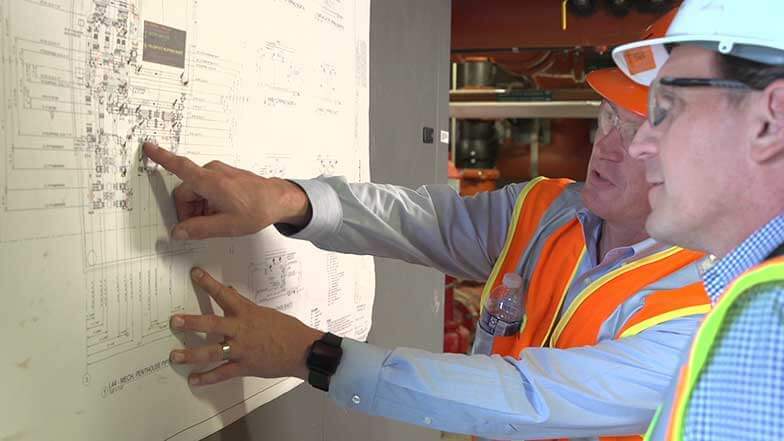 “We knew we needed to utilize a software platform that would enable us to expedite some of the coordination processes so we could begin fabrication and get caught back up with the original schedule,” said Campbell. 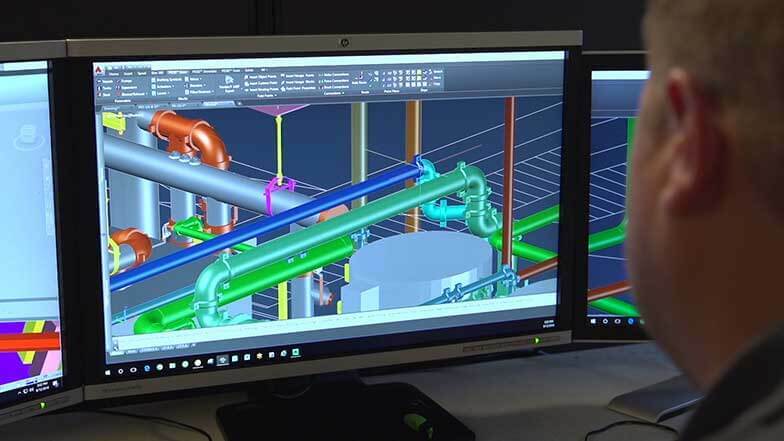 As experts in the field, Victaulic’s VDC team put Navisworks and Revit to work, along with the company’s proprietary software, Victaulic Tools For Revit®, to create models within a tolerance of 1/16″. The software also enabled easy file transfers to the Poole and Kent team, streamlining the preconstruction process. 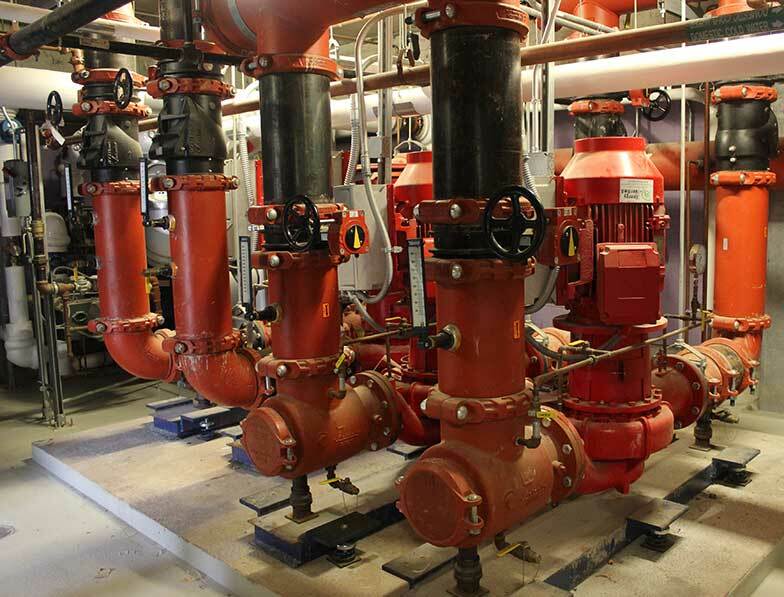 All components installed in the mechanical room—including vibration isolation pump drops, strainers, triple-duty valves, and the connections used for the heat exchanger—were Victaulic products. This communication allowed the VDC team to identify and prevent several potential issues during the drawing process. It also eased the piping installation in the mechanical room, as VDC delivered designs optimized for constructability and maintainability. Victaulic’s VDC team used Autodesk programs Navisworks and Revit, along with their proprietary Victaulic Tools For Revit®, to create models within a tolerance of 1/16”, so Poole and Kent were able to keep the luxury apartment building on schedule despite the limited size of the mechanical room and the number of systems and the large-diameter piping that needed to be installed. For more information, visit www.victaulic.com. 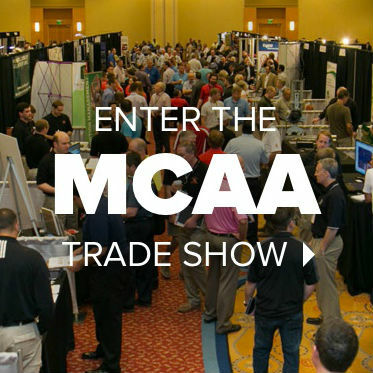 MCAA thanks Victaulic for being a major sponsor of MCAA19 and co-sponsoring the golf tournament. MCAA congratulates Victaulic on their 100th anniversary.